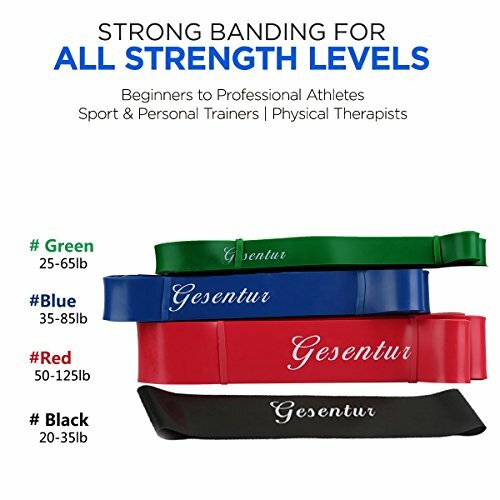 High end exercise bands – Used by men and women of all fitness levels. Heavy duty resistance loop bands are made of 100% natural latex – free of non-natural Thermoplastic Elastomer (TPE). 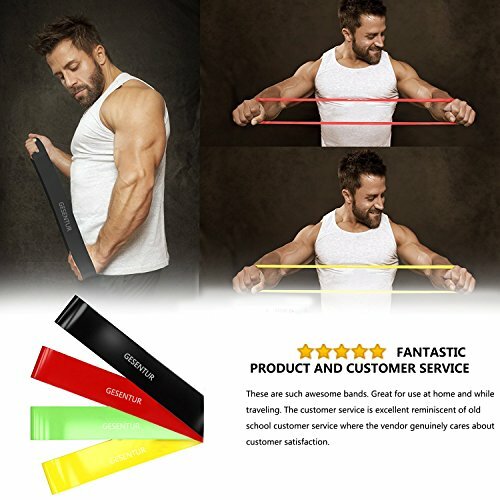 You are looking to purchase this band now: 2PCS (Red 50-125LBS + 20-35LBS Black) Workout bands. 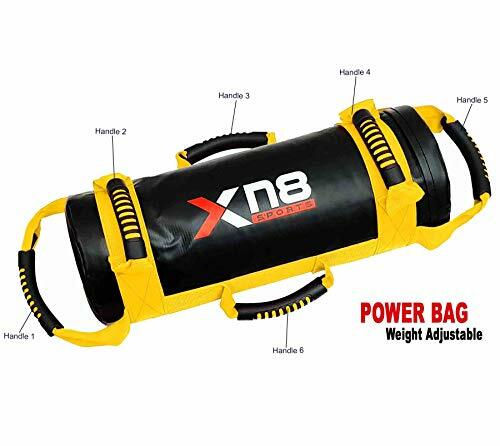 Can be employed in exercises for calves and hamstrings or any other lower body exercise with tough and high force inputs. 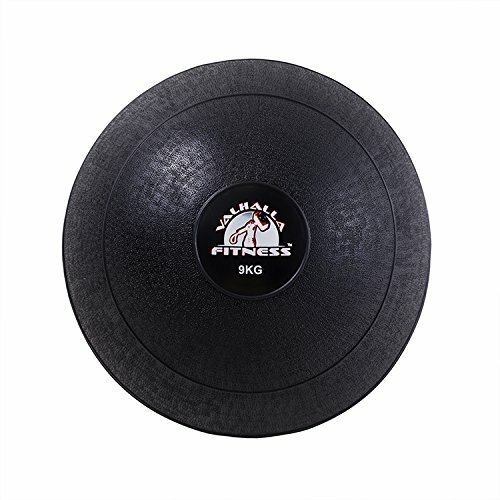 They are also perfect for assisted pull ups, strict or kipping. Effective Workout – Combine different levels of resistance pull up bands from heavy resistance bands to light resistance bances. 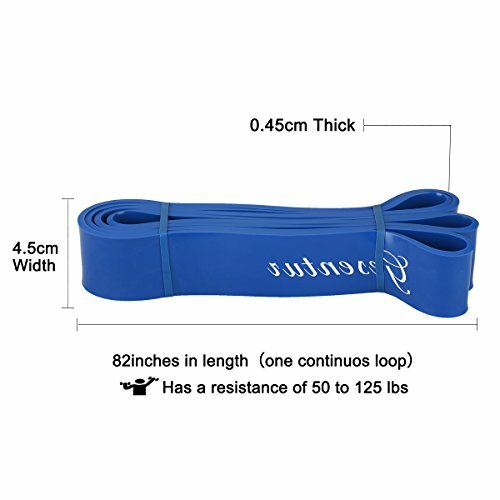 Multiple choices with varying levels of resistance, perfect for use as ankle resistance bands or leg resistance bands. 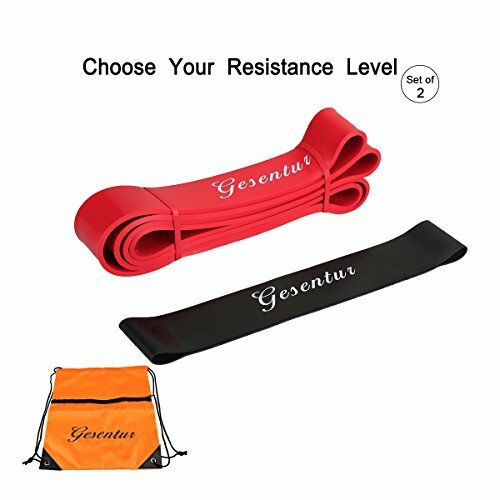 Why choose Gesentur Resistance Bands? 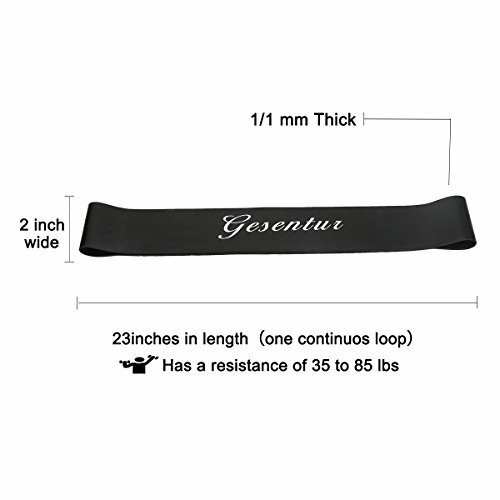 Gesentur resistance loop bands are suitable for women and men of all fitness levels. Improve muscle tone in arms, legs, back & buttocks without need for expensive gym memberships. Wide used for CrossFit, Yoga, Pilates, Fitness. Combining bands gives you different levels of assistance. 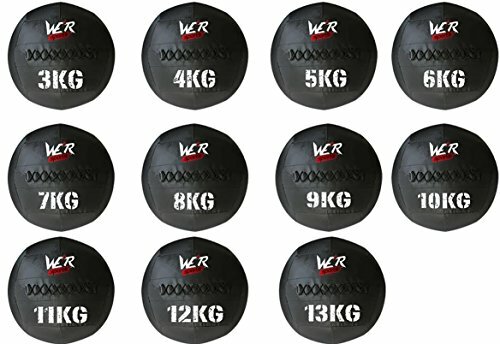 To achieve the exact resistance amount your personal fitness level needs! 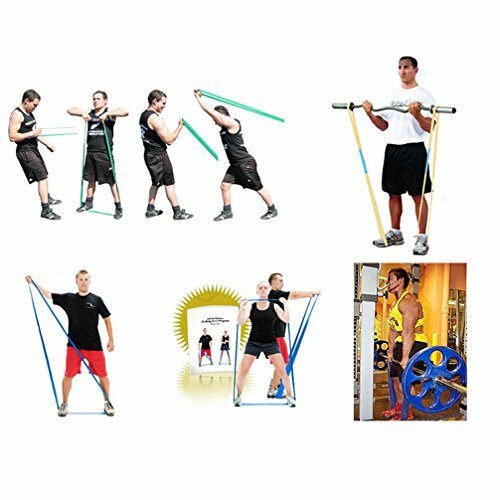 These resistance bands are durable, eco friendly and remove the need for any synthetic additives. 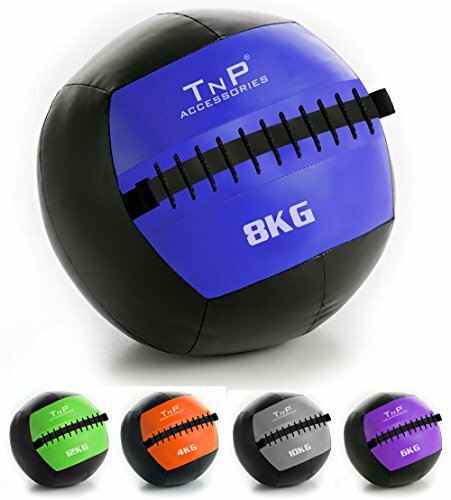 Enjoy years of total body workouts knowing these are designed for rigorous exercises and will retain their elasticity. 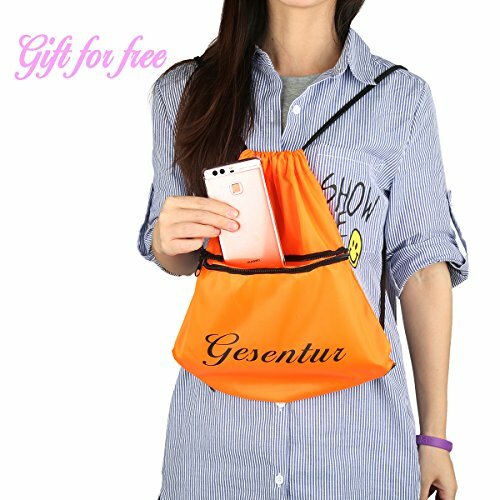 Can be easily transported to use wherever and whenever you want. With the included traveling carry bag and the compact size of the workout bands, you can achieve your fitness goals at home or on the road. Welcome to contact us, if any issues. We will take full responsibility for the quality of our resistance loop bands. -Flexible, easy to use and store. Portable bands – Flexible loops are lightweight, durable & compact so you can take them along in a purse or briefcase in the included carry bag . 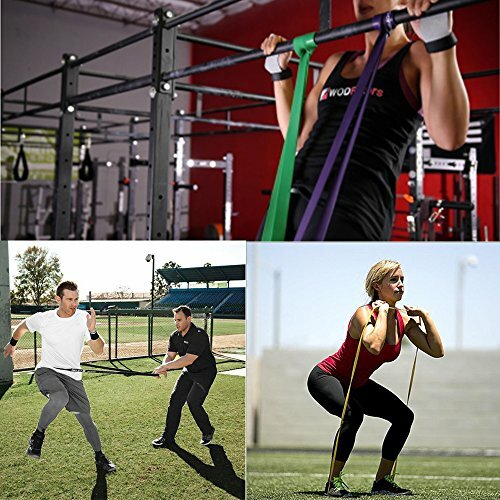 24 Months Warranty & Risk Free Buying – We are sure of the quality of our resistance bands. If you aren’t satisfied for our product for any reason, we will immediately refund you. Your satisfication is our target and service available is our responsibility.